They say that most houses have at least three spare toothbrushes. We’ve all seen them – frayed edged old toothbrushes that everyone’s afraid to use in case they’ve been used by someone else, or for something more unspeakable like cleaning the toilet! With a standard toothbrush, you are advised to change it around once every 6 weeks – but what about how often change electric toothbrush head? This can be harder to figure out, so have a read on for a bit more information. Why Change Your Toothbrush Head? This is an easy one. You want to be changing your electric toothbrush head because of a build up of bacteria on the bristles. However clean your mouth may be, and despite the fact that you always rinse the brush after use, stubborn bacteria can hang around and cling to the toothbrush head, making your cleaning experience less than, well, clean! You can end up spreading plaque around your teeth, which is entirely the opposite of what you are aiming for. The bacteria that naturally live in your gums will be thrilled that you’ve brought their friends back to play with them, but you and your dentist will be less pleased. Another problem can be that you end up damaging the bristles themselves with long term use. If the bristles are standing up at funny angles, not only will they not do a great job at cleaning your teeth, but you can also run the risk of damaging your gums. This can lead to further problems, especially if the bacteria get into the damaged gums – then you will be looking at potential gum disease and hefty dentist bills. 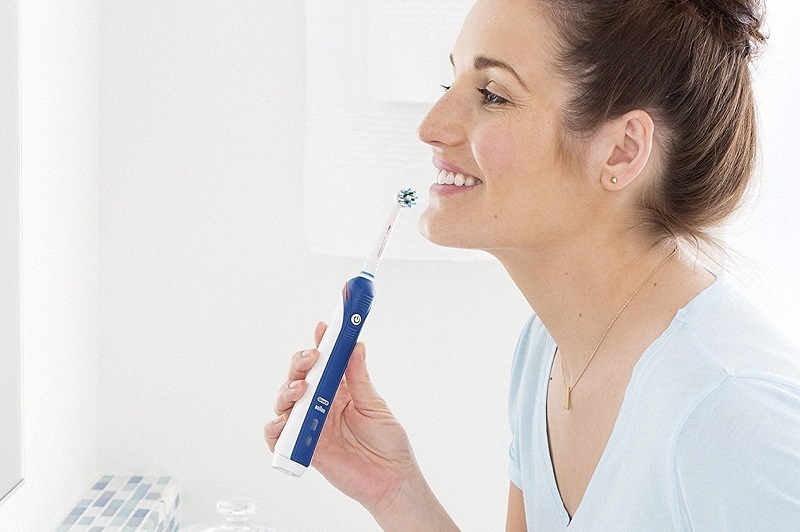 Are Electric Toothbrush Heads The Same As Standard Brushes? In the sense that they are plastic heads with bristles attached, yes. The shape is different, becaue the brushing action is different. The issues that they encounter will be the same – bristle splaying, bacteria build up – so the changing time should be the same too. How Often Change Electric Toothbrush Head? You should aim to change your electric toothbrush head with about the same frequency as you would change a standard brush – about once every three months. Some electric toothbrush heads have an indicator which will tell you when they are ready to move on to the great toothbrush graveyard in the sky, others will leave you to figure it out on your own, so make sure you make a note of when you started using it so you can change it regularly enough. If you have one of the heads where the bristles change colour to indicate when they need changing then this makes your life a bit easier, but if not then just make a little note on a calendar to remind yourself to change it. Should I Change My Toothbrush After An Illness? Unless you are boiling your toothbrush after every use, chances are there will be traces of bacteria left on it. With this in mind it is worth getting a new head if you have been very poorly – you don’t need to worry too much if you’ve just had a sniffle, but something more serious like a stomach virus needs more serious hygiene, so it is recommendedd that you change your head if you have just been through an illness that you’d rather not repeat. Do I Need To Change The Whole Toothbrush? Thankfully, no. An electric toothbrush is a fairly large investment, when you compare it to the small price of a standard toothbrush, so it will be a relief to know that you won’t have to make that same outlay too often! The only part of the toothbrush that goes in your mouth is the head, so this is the only part that needs changing regularly. Are All Electric Toothbrush Heads The Same? 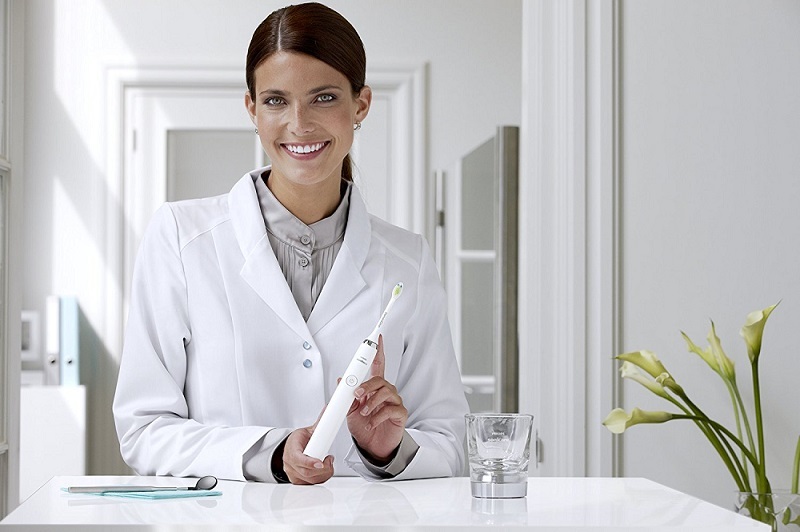 As with standard toothbrushes, electric toothbrush heads come with varying strength bristles, from soft to hard. Different people have different toothbrushing techniques, so you may find that you are one of the harder users who needs to change it more regularly. Aim to change it whenever you see it start to fray or change shape, or every three months – whichever comes first. So there you have it. How often change electric toothbrush head? About every three months, for best results and best oral hygiene going forward.